Dr. Winter Now a Diplomate of the American Board of Oral Implantology! The American Board of Oral Implantology/Implant Dentistry (ABOI/ID) announced Dr. Richard Winter as a diplomate of the board during the 2014 American Board of Oral Implantologists Award Ceremony held in Orlando Florida. This designation awarded to Dr. Winter represents the highest level of competence in the field of implant dentistry, which means that Dr. Winter has demonstrated the highest knowledge, skills, and proficiency in implant dentistry through a rigorous examination process. Diplomate status recognizes implant dentists’ dedication to professional and personal achievements in implant dentistry. The ABOI/ID offers the only Diplomate credential recognized by two federal courts. Chartered by the American Academy of Implant Dentistry in 1969, the ABOI/ID is an organization that adheres to the American Dental Association’s “Requirements for National Certifying Boards for Dental Specialties” in administering certain programs and examinations to improve the practice of implantology or implant dentistry. The Board’s mission also includes the elevation of standards and the advancement of the science and art of the field. The organization fulfills its purpose by following the “Standards for Accreditation of National Certification Organizations” set by the National Organization of Competency Assurance. The ABOI/ID is not recognized as a Specialty Board by the American Dental Association. However, the ABOI/ID closely adheres to the ADA’s Requirements for National Certifying Boards for Dental Specialists in the administration of its program and examinations. The ABOI/ID examination for board diplomacy is open to all qualified implant practitioners who do not belong to any implant organization. 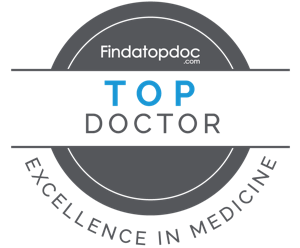 Diplomates of the board also come from various cross sections of clinicians, from private to academic practice to restorative and surgical. Having graduated from the University of Minnesota School of Dentistry in 1988, Dr. Winter has become a lecturer and has published numerous articles on Implant and reconstructive dentistry. He has achieved the prestigious Mastership Award in the Academy of General Dentistry which required passing a rigorous examination and taking over 1000 hours of didactic and hands on training in the 12 subspecialites of dentistry. He has earned his Fellowship, Mastership and Diplomate Awards in the International Congress of Oral Implantologists. Dr. Winter has also received Fellowship awards in the International College of Dentists and the Academy of Dentistry International. He has been recognized by his peers for excellence in dentistry and was voted a Top Dentist by “M” Magazine for cosmetic and general dentistry from 2011-2014.